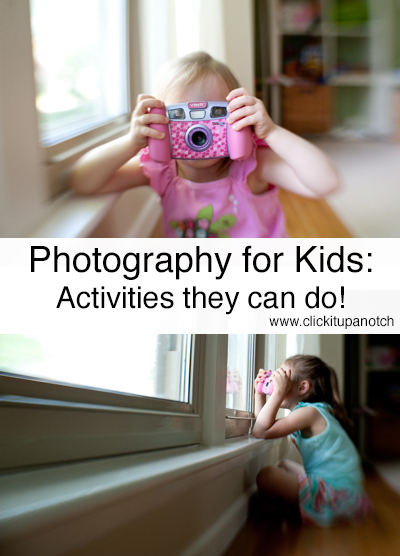 Photography for Kids: Activities They Can Do! One of my friends wants to give her son a project and thought a photography one would be fun! I love this idea and wanted to give you some ideas to do photography for kids. *Post contains affiliate links. Thanks in advance for supporting Click it Up a Notch. You can purchase a child proof durable camera or if your children are older and a little more responsible you can purchase an inexpensive point and shoot. You may not be able to teach them as many skills at this age but you can familiarize them with a camera and give them different activities they can do. – Learn their colors – Have the child walk around the house or outside and look for things of a certain color and photograph them. – Starts with… – Ask them to find objects that start with a certain letter and photograph them. – Their name – They could either find objects that start with the letters in their name or they could look for things that look like letters to make their name. You can teach this age range even more about photography. Start with some basics in composition. You can tackle lighting as well. – Skill building – Before you give them an activity you can have them practice the skills you want them to learn. If you want to focus on composition, have them read the above posts. They can choose one skill a day. Ask them to create 3-5 images displaying that composition guide. – Scavenger Hunt – Create a list of 20 items they need to find in the house or in the yard. Hand over the camera and have them photograph the options as they find them. Be sure to throw in something of a challenge. – Create a blog – You could give them their own corner of the internet. Feel free to keep their blog private for only family to view if you choose. They can post their images, add captions, and record what they are learning. Feel free to take their photos and stories and compile them in a digital photo album for them. How excited would they be to have their own book of their own images! Why stop there? Why not take on your own photography activity? Are you ready to capture those everyday moments and turn them into lasting memories? Take our 30 day challenge TODAY! 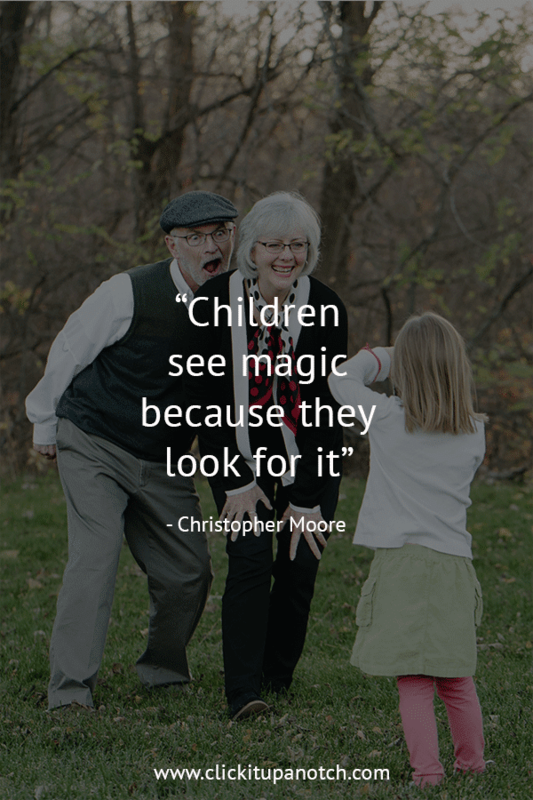 What are some activities you have done with your children? I love this idea, especially now that my little guy has a camera of his own! Good luck with your move, I hope everything will go as smooth as possible!! I really like these ideas. I think they will make a fun week of activities for my kids before we start back to school! What fantastic ideas! Both my older children have cameras of their own and have asked me to help them learn, now I have some great activities. Thank you! Awesome ideas!! Love the one about writing a story to go along with the picture. Makes each picture so much more meaningful. My grandchildren love the scavenger hunt photo shoots. I always try and get them to be creative. This last time one of the things was glasses so my youngest 7 yr old made glasses out of rocks and sticks! They also had fun with a Barbie photo shoot- they posed them in different positions, changed their clothes and added other Barbies to make groups. It was a great way to get practice and their subjects never complained about changing clothes or getting hot!! Thank you so much for this idea! I have been wanting to do this with my 3 and eight year olds but had no idea where to start! Awesome! Hope you all have fun doing these activities! Thanks for all your support and your great work! Wow! Had I learned the composition rules and the basics about lighting before the age of 10, as you recommend it, I probably would have evolved much faster in becoming a skilled photographer (while I liked to take travel photos, I had to learn the basic composition criteria while taking my professional certificate as a photographer before realizing what I did wrong and what I could do to improve my shots). Knowing these at a young age makes you have more time to practice and take advantage of every occasion you encounter for taking beautiful photos. my daughter photographs one thing a week that makes her happy and we plan on making a little book for her out of them. These are great ideas, thanks for sharing. They will be so helpful with the career day presentation for my daughter’s classroom. These are such great tips! Thank you so much- I will definitely use this with my daughter! Just started teaching photography to K – 5th graders…. these are some great ideas! Thanks! Enjoy teaching those little ones. can you suggest some gear for the new born photographers ? Thanks for this great information. My 11 year-old daughter needs to present information to her Girl Scout troop so they can work on their Digital Photography badge and your tips and examples are wonderful! The activities you suggest will be a great addition, too. TY! Why is there no ages 11-16? 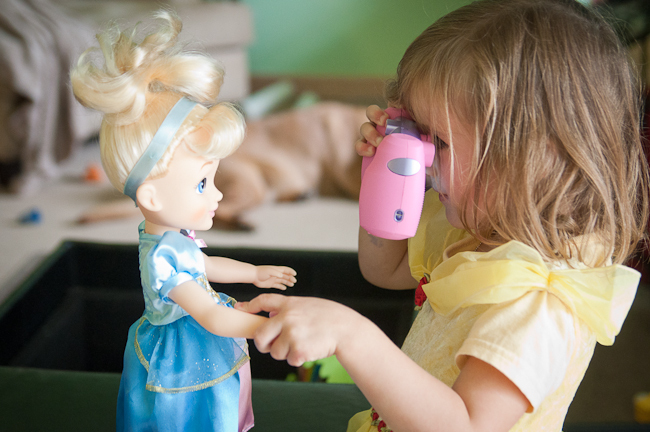 I have a problem with the child proof toy cameras like the one shown in the picture: the shutter speed is so slow that it’s really hard (in my experience) for a 3 year old to old to hold the camera steady enough to take a recognizable picture, and also the screen is so small they can’t really see the picture they took. I suggest trying an old iPhone or iPod touch (with a sturdy case probably). The camera is much more forgiving to the unsteady hand of my 4 year old, and its much easier for her to look at the picture she just took. But one problem is that it can be hard for them to hold the phone and press the shutter without having fingers in front of the lens, but I’m wondering if some better case would help. And I also don’t like to expose young kids to iphone/ipod/ipod in general. For that, I suggest locking the phone/ipod with a passcode: the camera is still accessible from the lock screen, but at least they won’t watch youtube. I wish a toy company comes up with an hybrid kid camera with a large touchscreen that is easy to hold so I can get the best of both world. For a photographer kids photography is fun but also very challenging because you don’t know what kids really want to do.For asucessfulkids photography session you have to friendly with kids togive them a comfort zone. Boom Beach gold and diamond cheats and al cheap Taichi Panda diamonds l of the Boom Beach strategies and cheats you need to get more gold and diamonds! Here you will find all the infomation about the game and buy Boom Beach diamonds with cheap prices and instant delivery,cheap Taichi Panda diamonds! Love all these ideas! Just wondering, what has been the solution for printing pics out. An “instant” photo camera would be ideal for my 6 yr olds but it works out to be SO expensive!!!! What does everyone else do? Thanks for the article Courtney, I was asked to teach basic photography to kids from 6 – 10 years of age. To be honest, I was clueless about how to go about it. After reading this article, I get a fair idea on how to go about it as it is quite challenging to teach photography to very young kids. Moreover, the list of activities you provided will help me in getting the necessary confidence to give the children a taste of photography. I really owe one to you since I am not married and I do not know how a young mind works, specially when it comes to photography. Thanks a ton for the article. I am sure to trouble you in case I have some questions in mind regarding the same matter. This is such a great idea! My kids would love to do this too. My daughter would love to take pictures of here babysister. What’s up to all, the contents existing at this website are truly remarkable for people knowledge, well, keep up the good work fellows. For most up-to-date news you have to go to see world wide web and on the web I found this web page as a finest site for latest updates. My daughter is going to her grandparents’ to spend 2 weeks with her brother and sister and cousins. I wish I had this in a book format she could take with her. Just throwing out an idea here, but if you ever compile a book I would totally purchase it!! !